Please carefully read this page and fill out the budget form you'll see below. We will reply with a quote in less than 24 hours. If in doubt, contact our sales department so we can advise you on the model that best suits your needs. Maximum weight per package: 900kg. It is responsible for initial installation, modifications and subsequent transfers. We will respond with a quotation with postage to your location (for budgets outside the European community often necessary 48 hours or more to have it available, because the inquiries to find out the shipping charge take longer. Many thanks for your patience. Maximum weight of piece: 45kg. Maximum weight of piece placement 2 meters high: 39kg. ECO100 but also ECO250 and model AMP: Difficulty half. De ECO300 a ECO850: Difficulty High average. The difficulty of assembly may be affected by not taking into account the correct leveling of the ground or the bearings of the booth. If you do not have the conditions necessary to acquire customer recommend the installation service Demvox or close to home professional fitter. Because these booth models have a precise fastening system, our technical service will be responsible for conducting the initial installation. Subsequently the booth can be disassembled and assembled by the customer or a professional installer. Easy downloading and accessibility for packages in the place of installation. User mounting difficulty level: high. 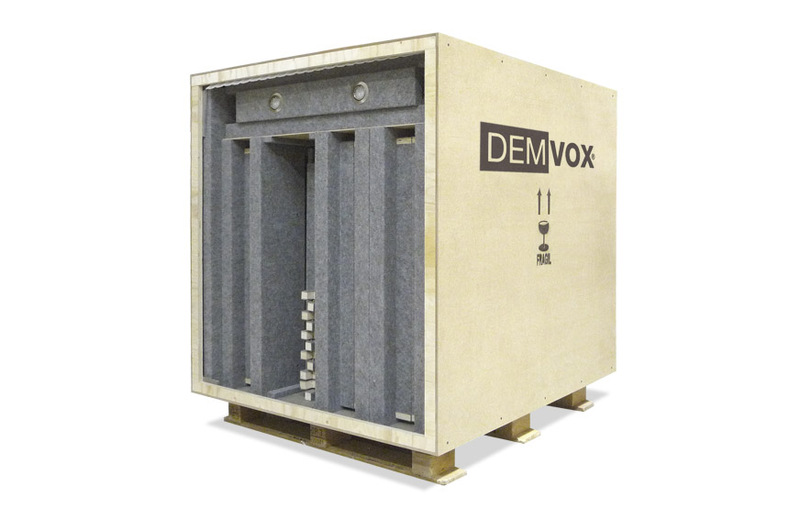 DEMVOX™ offers customers a guarantee of 2 years. from the date of purchase, and will repair or replace any defective parts or damaged materials due to incidents on shipping. All our products are monitored and methodically checked before each shipment.